18 LISTS Big Spending in the '90sA look at the decade-long heyday of brightly-colored, ridiculously loud, direct-to-children marketing and the many toys, foods, and products you begged your parents to buy you. List Rules Vote up the brands that you loved too much to let go of. If you've ever tried to emulate a look from the '90s, you know that it's actually pretty difficult to achieve '90s fashion today. For starters, you'll need a scrunchie, a sweater around your waist, and a few other bits of '90s flair that are now totally embarrassing. To be truly authentic, you might even go to a shopping mall in hopes of hitting up the local Contempo Casuals. If this is the case, you're in for a big disappointment; Contempo Casuals is just one of the beloved '90s brands that doesn't exist anymore. Many '90s brands that went out of business were, for a time, the height of fashion. Despite their success, none of these brands are as ubiquitous as they once were, and the reason for their departure varies. Some companies were never able to recover from a change in management, and were forced to close up shop as interest dwindled. Other brands have attempted comebacks, and while some have been successful, none of the rebooted brands feel anything like they did in the '90s. Founded in the early '90s, Delia's took pride in being "the funky, fun, quirky teen girls’ brand." The company started as a direct-mail business, but grew until they had established retail locations in malls across the country. Despite the brand's successful rise, sales eventually started to dwindle, and in 2011 the company filed for bankruptcy. Today, the physical Delia's stores are all gone. However, the company has returned to their roots, with an online only comeback that began in 2015. In the '90s, Limited Too carved out a space in malls across the country by offering European-style fashion aimed at young girls and teens. In the late '90s, they started focusing more specifically on tween girls, and by 2004, many Limited Too stores were rebranded as Justice. By redirecting the company's efforts, Justice was able to offer the same fashion seen at Limited Too, only for a more affordable price. By 2008, pretty much all Limited Too stores were gone. However, if you're a fan of the brand, you may be in luck. In 2016, the owner of several prominent retail brands announced plans to attempt to bring back Limited Too in select locations. The Warner Bros. Studio Store launched in 1991, and specialized in Looney Tunes merchandise. 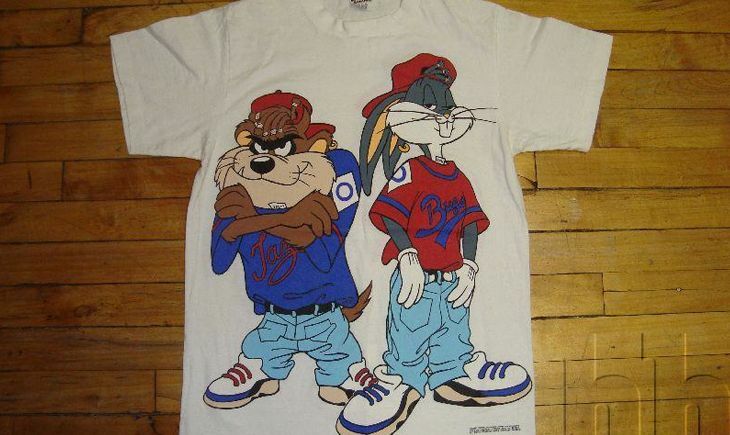 Even though Bugs Bunny made his first appearance in 1940, he and the other Looney Tunes remained quite popular, and clothing featuring modern takes on characters (such as Bugs and Taz dressed like the rap duo Kriss Kross) were big sellers. Looney Tunes popularity spiked with the 1996 release of Space Jam, but the demand for clothes featuring the characters eventually died down. In 2001, the Warner Bros. Studio Stores closed for good. How '90s were Bongo Jeans? The ads they ran that featured Liv Tyler should tell you all you need to know. The company was founded in 1982, and grew steadily over the next decade and a half. During the rise of Bongo Jeans, Gene Montesano and Barry Perlman, the founders of the company, also created Lucky Brand jeans in 1989. By 1993, the pair had left Bongo to focus on Lucky Brand, and in 1998 they sold Bongo to Candies for $15 million in stock. Bongo Jeans are technically still around, but since the change in ownership, the brand doesn't feel quite the same; for starters it's no longer tied to popular celebrities.